Now that we have found the message(s) we are interested in, we can do several things like checking further details about the message (like recipient(s), the spam confidence level, etc.) and eventually decide if we want to release it or not from the quarantine. 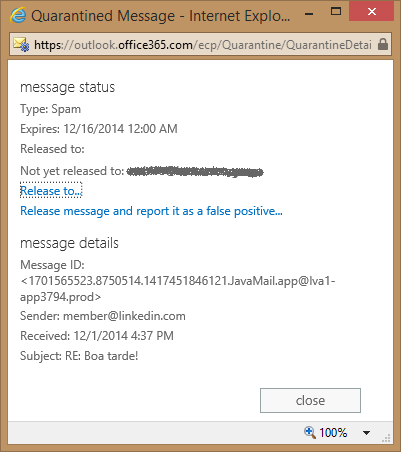 Expires which is the date when the message will be permanently deleted from the quarantine. We can copy the message header text to the clipboard and paste it into the Message Header Analyzer tool of the Remote Connectivity Analyzer. 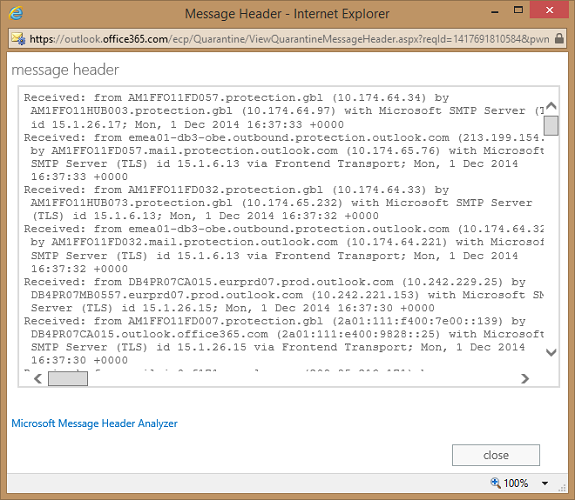 Alternatively, we can click on the Microsoft Message Header Analyzer link which will take us directly to the Message Header Analyzer (but unfortunately without automatically copying the header text). LANG specifies the language in which the message was written, pt for Portuguese in this case. 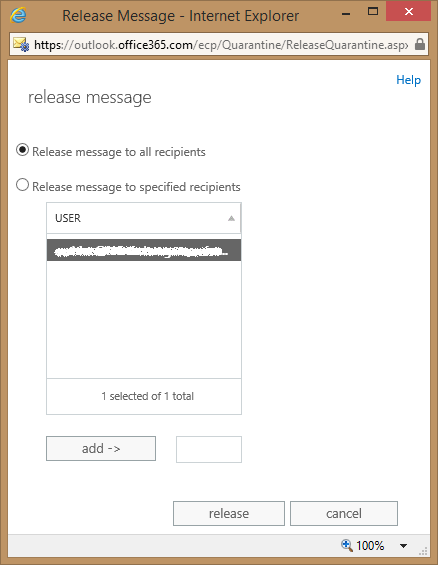 Release message to specified recipients: this option allows us to select the user or users to whom the message can be released to. Because a message can only be released once to each user, only users to whom it can be released appear in this list (multi-selection is supported). 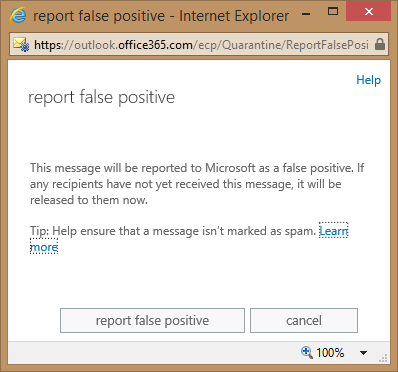 Release message and report it as a false positive... When we choose this option, the message will be released to all recipients who have not yet received it. 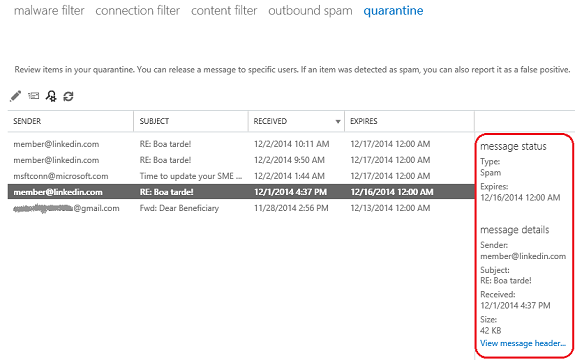 It will also be reported to the Microsoft Spam Analysis Team, who will evaluate and analyze the message. 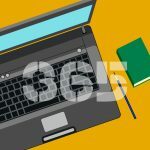 When a message is released, the service will re-scan the released message for malware but will skip spam filtering and transport rule processing. Both these options will take us to the same screens we just looked at above. In this window we can see that the message has already been release to at least one recipient. Before, the same recipient was listed under the Not yet released to: field. 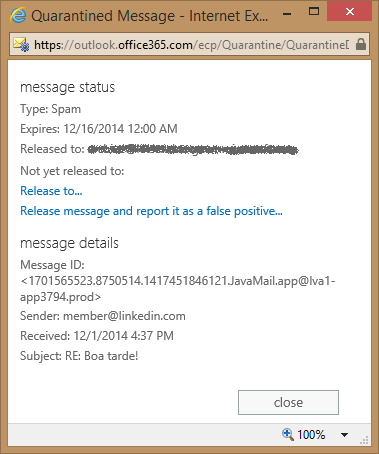 So far in this article series we explored the Quarantine feature in Exchange Online Protection and how administrators can search and release quarantined messages. In the next article, we will start looking at the quarantine from the perspective of an end user.